RideTech offers Complete Suspension Packages for most popular applications to fit different customer desires and budgets. Pit Stop USA is The Online High Performance Superstore! 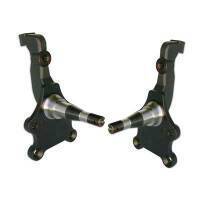 We feature Air Suspension Air Line Fittings at low everyday prices. Pit Stop USA is The Online High Performance Superstore! 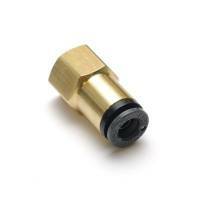 We feature Air Suspension Air Valves at low everyday prices. 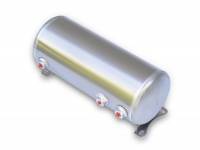 Check out the Recently Listed Air Suspension Tanks. Check out the Recently Listed Chassis Stiffeners. 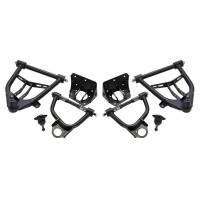 Check out the Recently Listed Complete Linkage Rebuild Kits. Pit Stop USA is The Online High Performance Superstore! We feature Fender Fillers at low everyday prices. 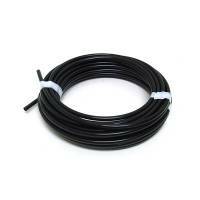 RideTech 1/4" DOT Airline 30 Ft.
RideTech 3/8" DOT Airline 40 ft.
RideTech Air Tank 3 Gallon Alum. Our business model has not been derived from any business seminar or book. It is simply our common sense approach of giving the customer what they want when they want it. Since we are hot rodders we feel we have a reasonably good idea what it is. We do the vast majority of our manufacturing in-house. We do the research and development, CAD drawings, prototyping, CNC machining, CNC tube bending, jig welding, shock assembly and dynoing, airspring crimping and burst testing, and final assembly all within our facility in Jasper, IN. This way we have complete control over every aspect of design, quality and delivery. This is one reason why our backorder rate is virtually ZERO. ALL of our tech/sales people have air suspension vehicles and have been involved in the design, manufacture, installation, and use of our suspension systems. We have a fleet of around 20 muscle cars, customs, and sport trucks that we use to demonstrate the performance of our suspension products and to continually refine them. Our name has changed, and the shape of our icon, but behind the new look we are the same company. Air Ride Technologies is RideTech: the same owners, same staff, and most importantly, the same passion for performance. 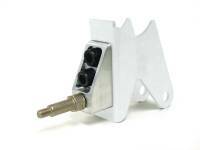 An easier way to shop: One part number, one price, total solutions. We offer multiple package levels for our most popular applications to fit different customer desires and budgets. Our suspension packages are based on years of experience with outfitting each platform and will provide a simple solution to assembling all the right components for your vehicle. Just follow the three easy steps below to get started. 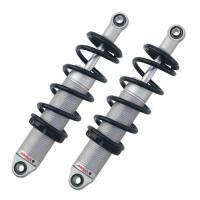 The benefits of an air spring are many; adjustable ride height, variable spring rate, and improved ride quality. Our air systems include impact forged monotube shocks and high endurance airbags that provide superior performance that you would expect from our coil based systems. 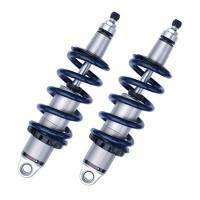 Air suspension systems may take a little extra work to setup, but its a small price to pay for ultimate adjustability. RideTech continues to offer today's hot rodders the ultimate in ride quality, handling performance, and now, SIMPLICITY, with RideTech CoilOver suspension packages. 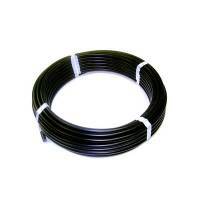 Our coil based systems have pre-engineered spring rates, allowing you to leave out the guess work. 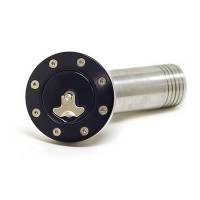 Our coilover systems are bolt-on solutions that are easy to install and adjust.